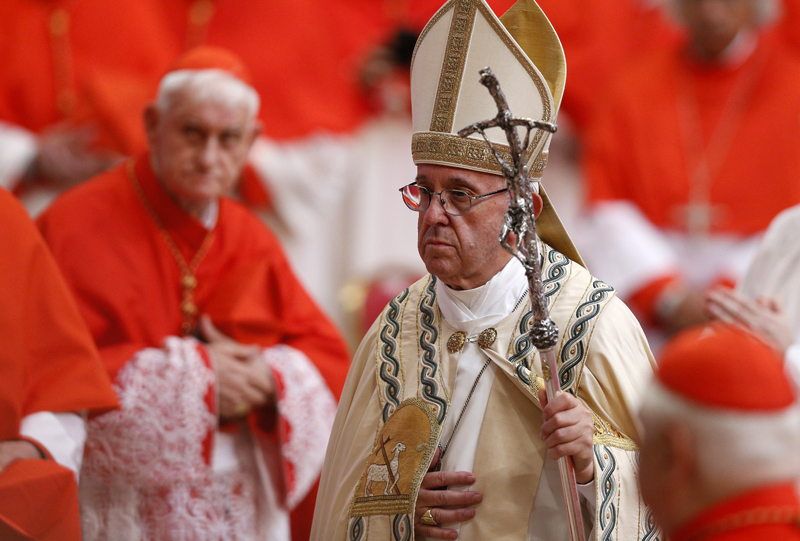 VATICAN CITY (CNS) — Pope Francis announced he would make 14 new cardinals June 29, giving the red cardinal’s hat to the papal almoner, the Iraq-based patriarch of the Chaldean Catholic Church and the archbishop of Karachi, Pakistan, among others. Archbishop Chaput passed over again. Pope Francis should overlook his differences with the Archbishop. He is eminently qualified to be a Cardinal. Hopefully, one day, Archbishop Chaput will make it. Guess (again) that we have to wait till next time.